Chugz: Buy 32 oz. Fountain Drink, Get 24 oz. Fountain Drink FREE! Also, BOGO FREE Froyo! It’s Valentine’s Day and if you’re searching for a great place to grab a treat and celebrate, look no further than Chugz & Twizlberry. Whether you’re out with you spouse, boyfriend or girlfriend, or just celebrating singles awareness day, they have some of the best treats in Cache Valley. Buy a 32 oz. Fountain Drink, Get a 24 oz. 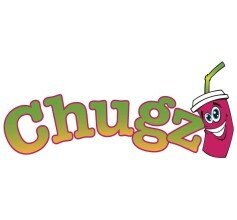 Fountain Drink for FREE at Chugz! Also, Buy One, Get One FREE Frozen Yogurts from Twizlberry! *Must mention The Dealio prior to ordering to redeem. *Valid 2/14.